Isaac Asimov (1920–1992) was an American author and professor of biochemistry at Boston University, best known for his works of science fiction and for his popular science books. Asimov was one of the most prolific writers of all time, having written or edited more than 500 books and an estimated 90,000 letters and postcards. His works have been published in all ten major categories of the Dewey Decimal System (although his only work in the 100s—which covers philosophy and psychology—was a foreword for The Humanist Way) (source: Wikipedia). An LA Apparel classic, all-purpose natural cotton tote, made from 100% Bull Denim Woven Cotton construction. 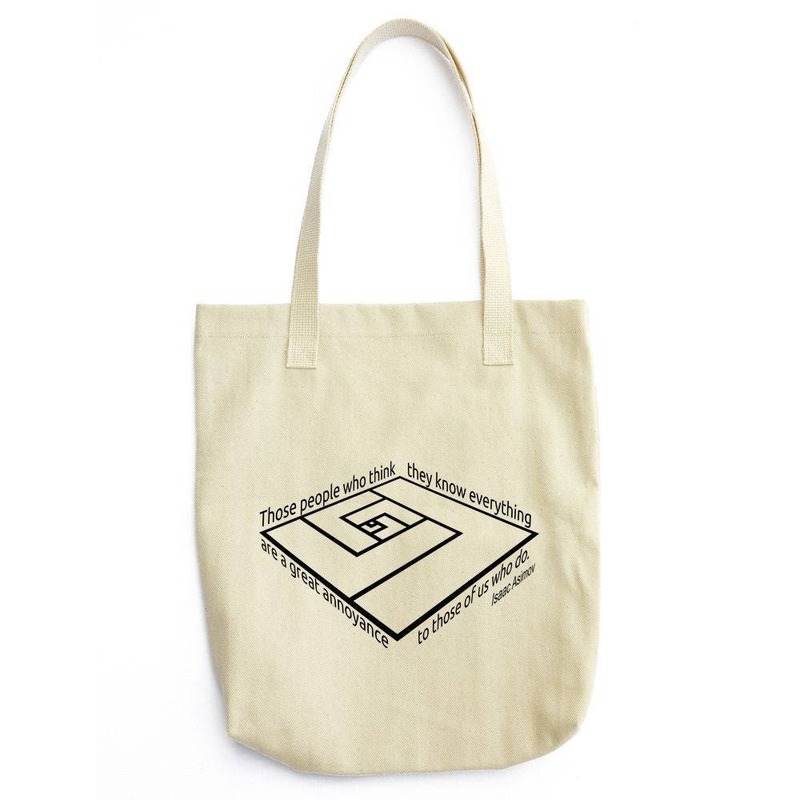 This is a sturdy eco-friendly fairtrade tote bag, perfect for a book bag, a grocery bag, or just somewhere to throw in all of those little everyday items. Fall in love with fashion's most practical shape, this tote is the hardest working option in your handbag arsenal. - One side print. Dual handles. Contact us if you would like to customize this product. It is always a great idea to add a name & a date, or change the design's color. Bag's base color will always be canvas beige - this is your canvas. Be creative and we will craft your unique tote bag for you!